Maaaaaybe. Depending on who you ask. 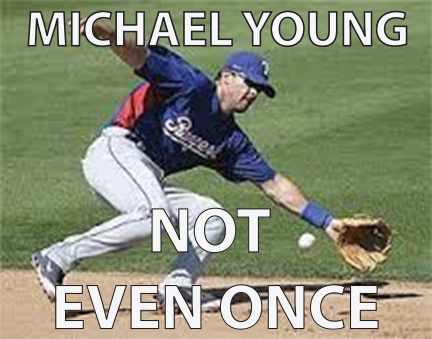 Its looking like its the Dodgers or retirement for Michael Young. 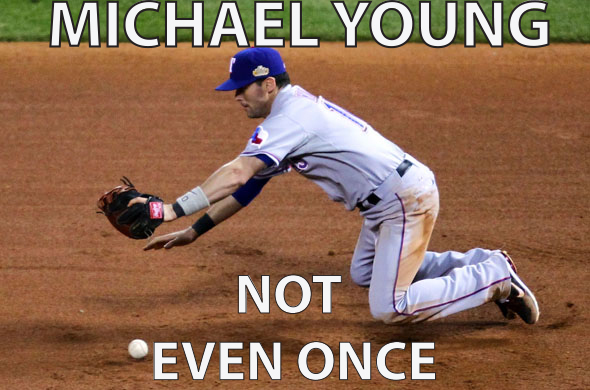 Now it is well known from the twitters how I feel about MYoung, but really, given the alternatives (dust filled corpse of Chone Figgins reporting for duty! 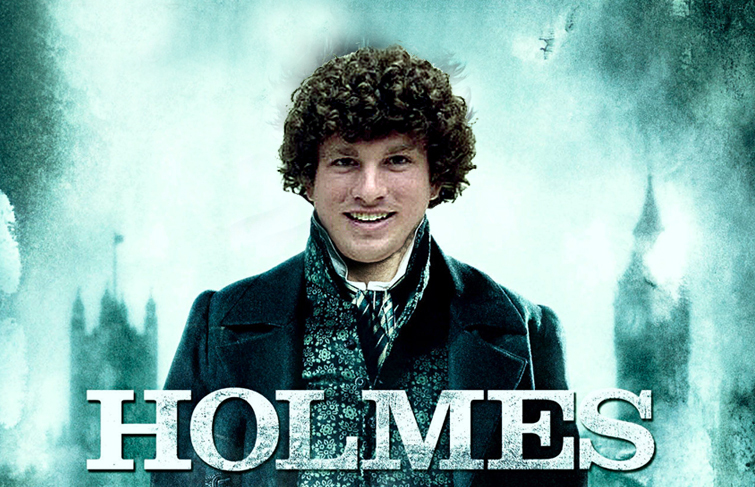 ), it wouldn’t be the worst thing if he signed for a cheap 1 yr deal. I guess. Right? 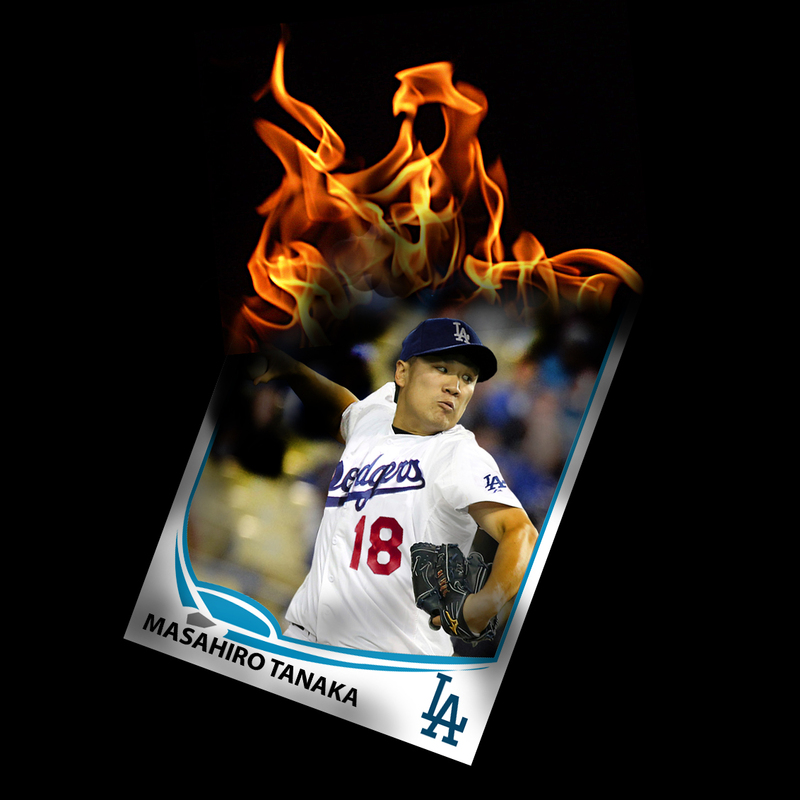 And IF he does sign, I will root for him as I would every other Dodger. (if I can bring myself to cheer for Shane Victorino, I can bring myself to cheer for any Dodger). 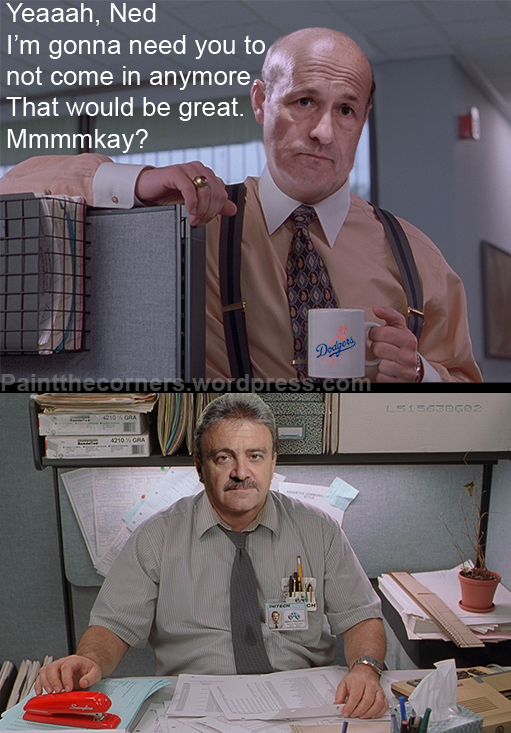 But, just in case Ned Colletti reads my humble little blog, here is the campaign I started on twitter to stop you from hoping that Young signs with us. 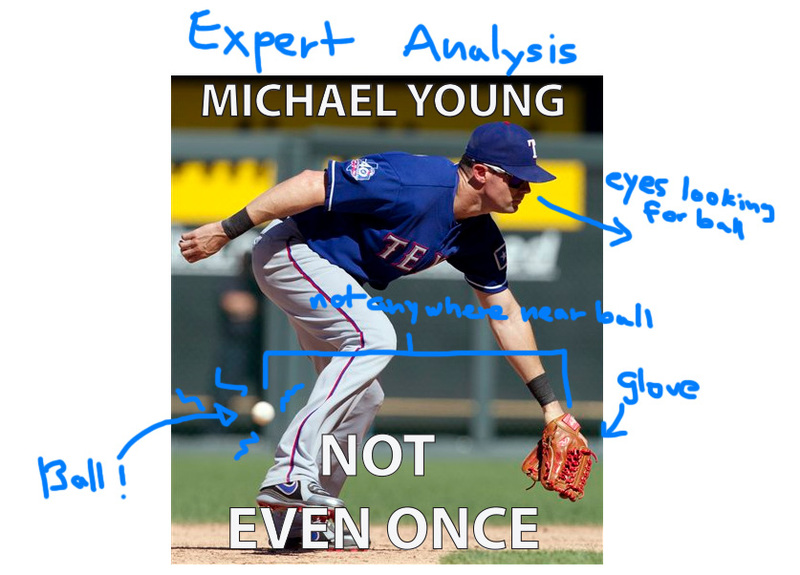 And in attempt to bring you hard hitting defensive analysis, I have broken down one of the images above even further to hammer home the point that Michael Young SUUUUUCKS. So. Please Ned. Don’t try it. 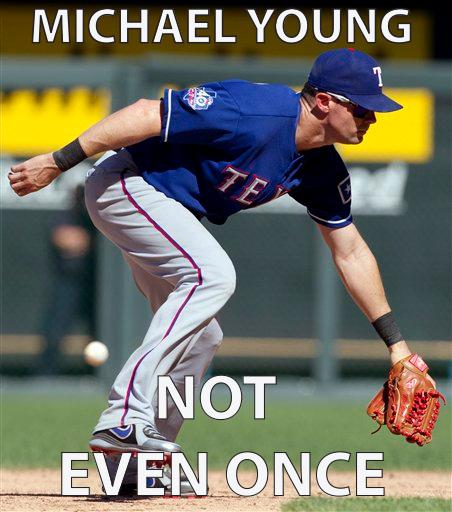 Just say no to Michael Young. Ah, who am I kidding? 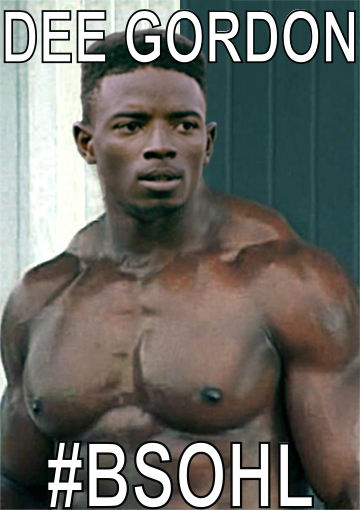 Myoung will sign with us. At least he will provide ample fodder for humor on here and on twitter. Who knows. 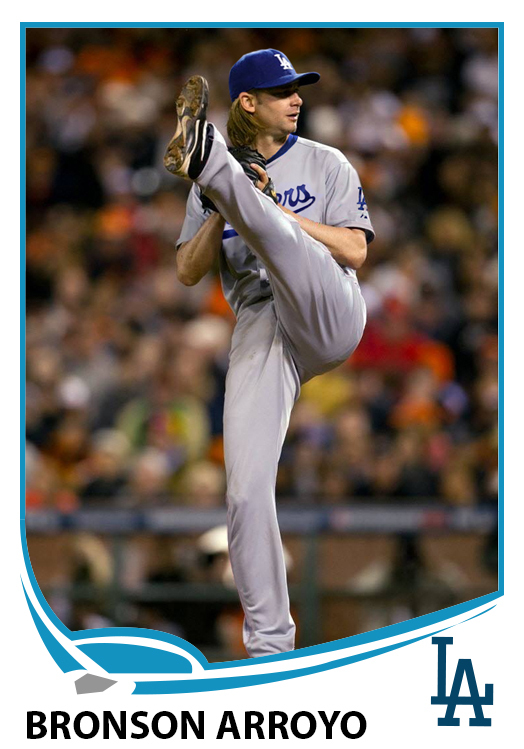 Maybe he will be amazing and be an integral part of our 2014 World Series victory. Yeah. for sure!